A number of videos from the Trans* Education and Determination teach-in, kindly filmed by Natacha Kennedy, are now available on Vimeo. There isn’t yet footage available for every speaker, but more videos are due to follow soon. I hope these will fulfil a key promise of the event: to reach beyond those able to attend on the day, and stimulate wider discussion. It is in this spirit that I hope others might consider filming or writing responses and/or their own thoughts on the consequences of psychology, psychiatry, academia and feminism for trans people and trans rights. Perhaps you could organise your own teach-in? TRED organisers and participants are already discussing possibilities for future events, but there’s no reason why any given group of people can’t put one together. Some notes for the future are available on the TRED blog. On a slightly different note, I’m considering an event based upon the TRED videos at my own university. It shouldn’t be too hard to screen some of the footage from the even as a starting point for discussion. Finally, I’ll be posting each presentation from the first TRED on this blog, along with a transcription. I hope you enjoy them as much as we did on the day! 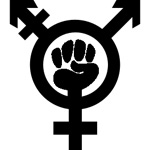 A trans teach-in to discuss issues of psychiatry, community and care, originally conceived in response to the presence of transphobic speakers at the (now cancelled) Royal College of Psychiatrists’ event “Transgender: Time to Change. There will be a number of talks and workshops throughout the day, alongside open discussions and debates. All are welcome! This event is kindly hosted by KCL Women’s Officer and GenderMatters@Kings. You also say that the conference is “going to be perceived by those in the trans community as a threat”. The intention is not to cause alarm and distress to the transgender community, and we regret if our organising this event has done so. The College is involved in organising numerous conferences about a wide range of issues. Any opinions expressed by individual contributors at these meetings are the personal opinions of those contributors and cannot be taken to represent the views of the College. I feel that the previous correspondence from Liz Fox clarified the College’s position on this issue and that nothing further can be gained by continuing this debate as we have nothing further to add. As Natacha and Jane point out, this response is entirely missing the point. By holding a conference on trans people in which the vast majority of trans people are not invited to participate, where individuals like Az Hakeem and Julie Bindel are invited to speak, the Royal College of Psychiatrists demonstrates its contempt for trans people. We deserve access to treatment, and we deserve to be treated with respect: RCPsych seem to be interested in neither of these outcomes. Psychiatrists are intelligent people. Well, some of us are. This “debate” has been on the cards for a while. It’s probably fair to say that, as a clinic, we’ve been divided in terms of how to respond to an event already set up with non-clinician Julie Bindel and Dr Az Hakeem providing stances based on anecdote but limited evidence. To some extent, it could be argued that even the act of engaging with an ostensibly absurd/obscene topic to point out its absurdity/obscenity lends that topic a spurious pseudo-legitimacy it does not deserve. This is a valid viewpoint and one with which we have wrestled. Those of us taking part do so because we felt, after much discussion, that it was important to inject some actual clinical evidence/experience into what might otherwise be a display of largely uninformed opinion. Please do not tar all psychs with the same brush. I think it is important to bear Lorimer’s final statement in mind when we protest against this conference next month. I personally know a few individuals who will be attending in order to oppose the more regressive views promoted by the event, and we will only benefit from winning over attendees who are currently ignorant of the situation. As such, we should be careful to protest the conference itself, whilst treating attendees with respect. We want to make allies, not enemies: this can be done by directly addressing attendees with our concerns in a friendly manner even as we shout slogans and wave colourful banners in the general direction of the fancy RCPsych building.